On April 1-3 2019, the LEGO Foundation will gather 300+ researchers, thought leaders, funders, policy-makers, social innovators and practitioners invested in realising the power of parenting to support children’s development and learning. The conference will be a vibrant and interactive experience where we will connect and collaborate, play and learn, debate and disrupt, inspire and get inspired. Are you working in this area and would you like to attend? If so, please tell us why you think you would be a great participant by filling in this form. A world prepared for a changing climate requires creative engagement from all people. Founded in 2018 in Asheville, North Carolina, Climate City Expo (CCx) offers professional and experiential tracks for individuals to explore innovation at the forefront of climate adaptation and resilience. The heart of the experience is CCx: Business — a convening of global leaders and visionaries in business, climate science, sustainability, data, and entrepreneurship to discuss risks, opportunities, and solutions to humanity’s biggest challenge. CCx 2019 features additional programming designed to engage our next generation of climate leaders and the public in different tracks that showcase the way our communities are rising to the challenge of climate change. Home to the world’s largest repository of climatological data at the National Centers for Environmental Information, Asheville, North Carolina, has grown into an important hub of climate expertise. Our city’s climate-conscious ethos attracts entrepreneurs, chefs, builders, brewers, artists, and companies, large and small. They come for the elevated quality of life and the backdrop of the Blue Ridge Mountains. They contribute to a culture deeply connected to nature. They generate solutions that inspire the world. 14 years ago we pioneered the virtual Art of Convening Training. Over 20+ years of convening, we've learned that meetings don't have to be a waste of time, whether virtual or in-person. Meetings don't have to be an energy or time-drain. The Art of Convening (AoC) teaches the art and science of designing and leading meeting and conversations that are inspirational, productive and transformative. Each training focuses on your unique purpose with the goal of sharing it on behalf of others. Unleash your team’s EQ with the power of convening: learn how the skills of inner game of being a convener can shift the culture of your team, department or organization to full-on commitment. Each step of the way is a journey into personal and professional learning and application of the technology of relationships. I was one of the chosen few to receive a special invite to represent 5th Element Group and India at the Nobel Peace Prize Forum 2018 in Oslo, Norway. The Nobel Peace Prize Research and Information and University of Oslo invited a select few purpose-leaders to the Nobel Peace Prize Forum 2018 to address one of today’s most pressing and universally relevant topics: Climate Change, with Al Gore, former U.S. Vice-President and 2007 Nobel Peace Prize Laureate, as the keynote speaker. (A few months ago I was selected as one of the 75 World Economic Forum Global Shapers to receive training in Climate Reality by former US Vice President Al Gore in Los Angeles). 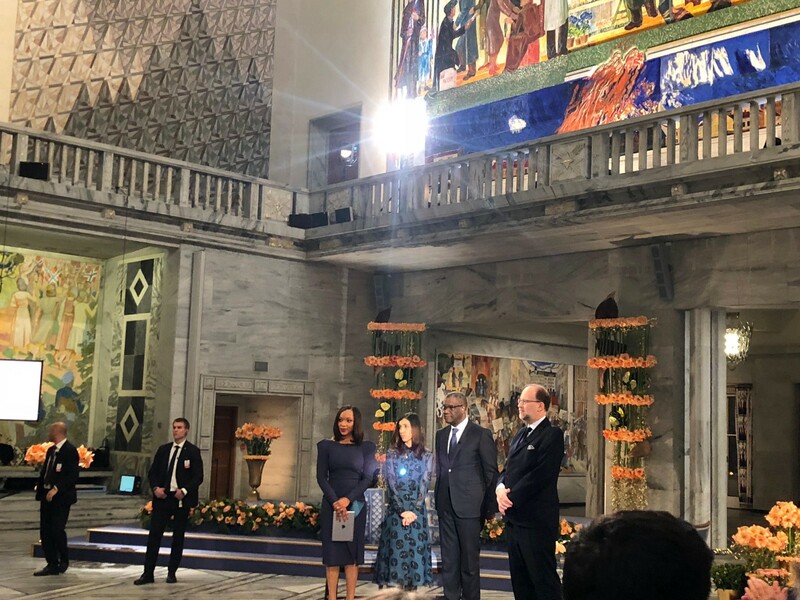 The Nobel Peace Prize Week opened my eyes to possibilities, adventures, and wealth that can be unlocked when inspirational leaders, UN Sustainable Development Goals, Blockchain, Frontier Technology, and Social Impact ventures dance together — literally and metaphorically. 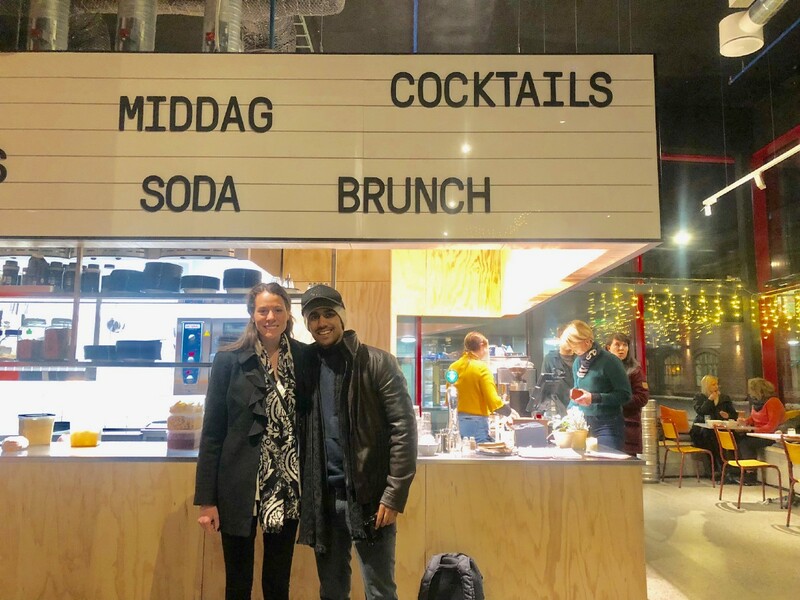 My Nobel adventure began as soon as I landed in snowy Oslo and decided to snow-walk for a mile to see Mary Elizabeth Russell, Special Projects Director at 5th Element Group, over screening of a documentary about 2018 Nobel Peace Prize Laureate Nadia Murad. The film offered a testament to Murad’s suffering, courage and unfathomable tenacity, but this portrait also recognized that compassion has never been in short supply. I was deeply touched, and super inspired by Nadia’s strong will to create systemic change. With both of us inspired and committed to make the world a better place, MER and I walked to the hotel. On our way, MER impressed me by putting her brilliant coordination skills to action and managed to setup a dinner for all 5th Element delegates at a “local’s favorite” restaurant. All the 5th Element Group leaders convened at the hotel and decided to walk to the restaurant. I finally met two my biggest inspirations and amazing purpose-leaders on this planet, Jim Van Eerden, CEO of 5th Element Group and Ed Martin, CMO of 5th Element Group. My admiration grew even more when they started telling me about the new initiatives of 5th for women empowerment and gender equity — causes I’m passionate about. 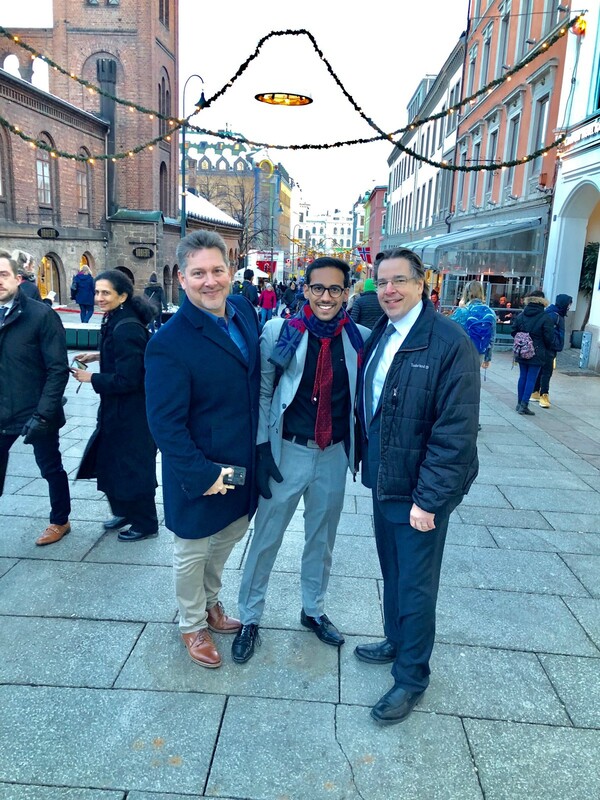 Over this 2 mile walk in snowy beautiful Oslo, Jim, Ed and I ended up collaborating for the Indian Leadership Conclave, one of the flagship convenings on women empowerment, of India Needs You, a leadership movement I’ve been building by equipping young adults with a leadership toolkit. With the expertise and generous support of 5th, we plan to empower 200 Indian women entrepreneurs at ILC in January 2019. This shall make for an independent story soon. Super hungry, I decided to start my first meal in Oslo. It was flavorful and spicy — perfect segue into a series of meandering conversations around unlocking new set and power of wealth by solving UN SDGs. 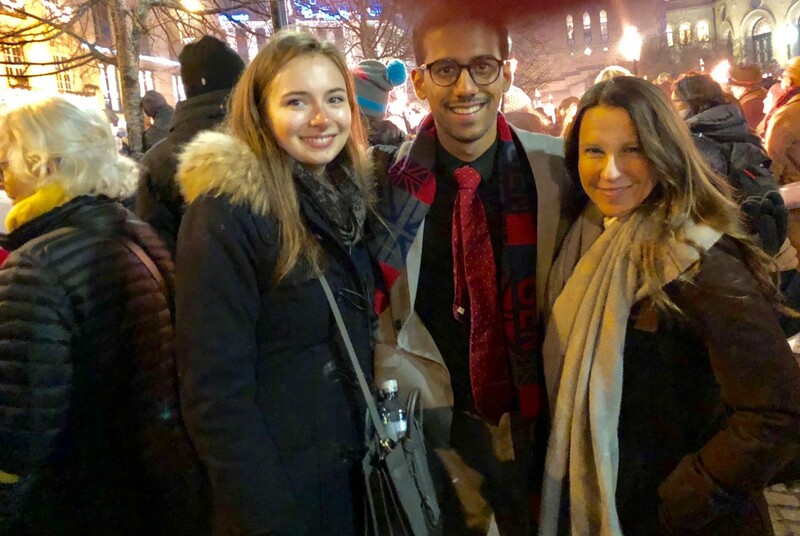 The conversations with these amazing folks were super exciting ; We just paused for a few minutes for a group photo, but the conversations reconvened over our snow-walk back to the hotel. The warmth I received from every 5th delegate and partner made me feel I’m at home ; I just felt blessed to be in the company of these wonderful superhumans. 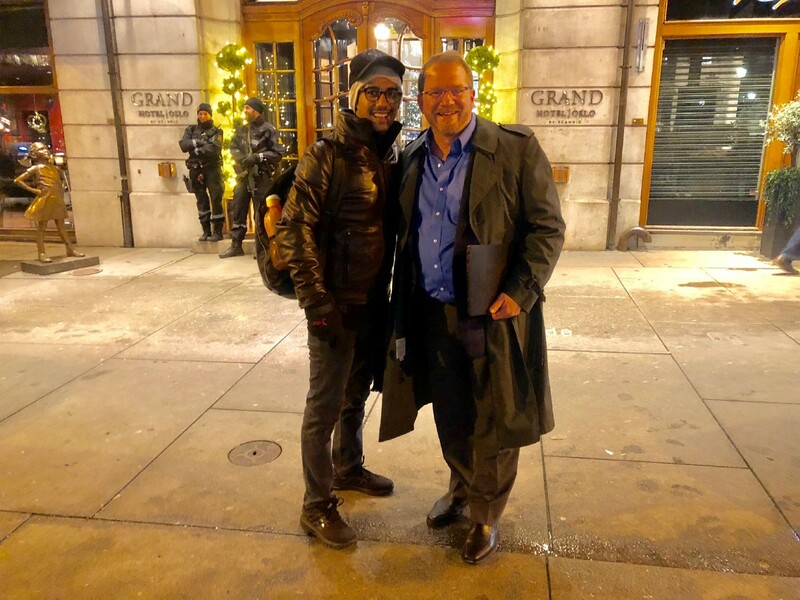 On my way back to the hotel, I engaged in this long conversation with Scott Rehmus, Co Founder of Impact Journeys and a strategic philanthropist. An expert in running family offices, Scott helped me learn a lot on how to unlock capital for cause, and how to make it easy for families to maximize their positive impact by integrating all their capital — financial, human, social, and physical. Last night’s conversations resumed over delicious breakfast. I did a lot of afternoon 1:1 meetings until early evening with amazing folks and ended up collaborating with brilliant peers from across the world to advance our works, achieve SDGs, and make the world a better place. After amazing collaborations, we walked to the University of Oslo to see 2018 Nobel Laureates Denis Mukwege and Nadia Murad over live interviews. Nadia’s story about surviving Isis genocide, rebuilding Sinjar and resettling the Yazidi population inspired us to the core and motivated us to help Nadia restore humanity. We, at 5th, have launched a Free Yezidi match campaign. You may want to donate and help reach our 200k USD goal. Denis’s story about treating women who have been raped by armed rebels left all of us in awe with his contribution to women empowerment. Both the 2018 Laureates and their efforts to end the use of sexual violence as a weapon of war and armed conflict motivates me more to empower Indian women through India Needs You and 5th Element Group. Sharing the room with Nobel Laureates and amazing change-makers kindled my belief that WE CAN, and WE WILL change the world. 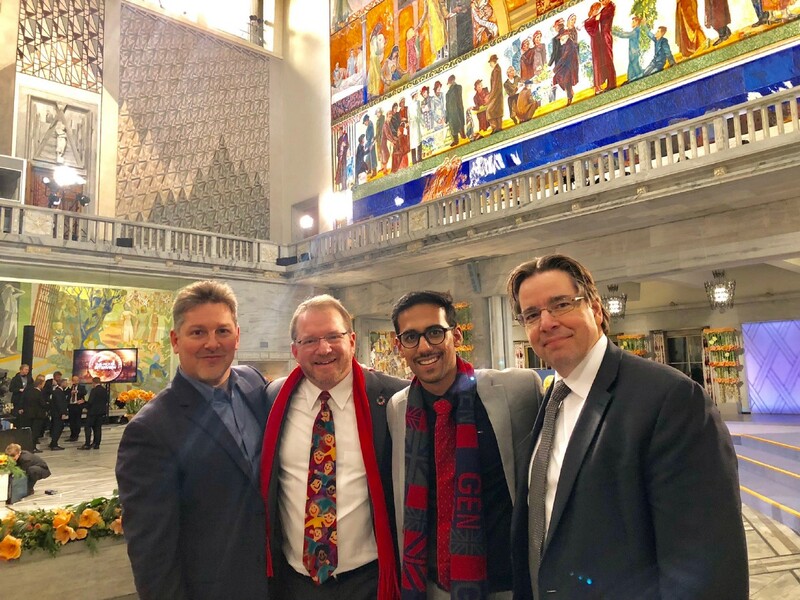 After the inspirational live interview with 2018 Laureates, all of us Nobel delegates convened at the Oslo station, purchased torches, and marched towards the Grand Hotel for a beautiful peace Torch Light March to celebrate 2018 Nobel Laureates and peace in the world. With music, appeals, and torches, all of us waited for a balcony appearance of the Laureates. My side conversation with Elissa Harris, Chief Impact Officer at 5th Element Group, was exciting where we discussed India’s demographic dividend in the next 10 years and how India shall be a superpower soon. I was amazed at Elissa’s enthusiasm about Indian food and spicy cuisine. Next morning starting with an amazing roundtable on “Frontier Tech Landscape and Opportunities. Brilliantly moderated by Jim, CEO of 5th Element, the group discussed about capital that never existed before, how to deploy that capital where it is yet to be deployed, and scale new forms of corresponding collaborations. Highlights of the session were stories of Jeff Sparrow, CEO of GeoCommerce, who is tapping CO2 from the sky to tap a new 70 trillion dollars market and Joby Weeks, Partner at 5th Element and Crypto Guru, discussing how he has helped people become wealthy by investing in BitClub — He recommended the currency to one UPS driver that used to deliver packages to his house who invested $10,000 at the time and later paid off his house and car with the earnings that amounted to around 1.2 million dollars. After the roundtable, I checked my watch. 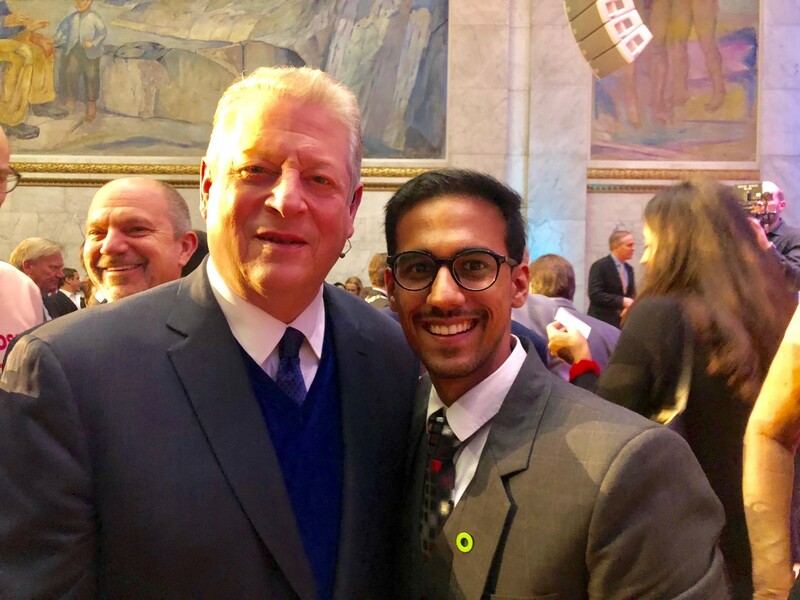 It was time for the Nobel Peace Prize Forum and the opportunity to meet and hear my inspiration — former US Vice President and Nobel Laureate 2007, Al Gore once again this year after I got trained by him in Los Angeles in August 2018. Sporting my earned beautiful green “Climate Reality Leader” ring, I got myself seated in the University of Oslo. As 5th was the title sponsor of the Forum, 5th delegates had the privilege of sitting in the first row. Sitting next to amazing dynamic Jim, we got into a conversation with CEOs of Peace Through Commerce and New Generation Power, other partners of the Nobel Forum. We exchanged cards and planned on collaborating to unlock new capital when our conversation was cut short — The American politician and world’s leading environmentalist was welcomed to a standing applause. Following an amazing speech on how we can tackle climate crisis by Al Gore and a panel discussion on solutions available for adopting renewable sources and how an economy can thrive to sustainable solutions, I got into a long conversation with Al Gore. It was such an honor getting lauded by Al for my efforts after he trained me on Climate Reality in LA. 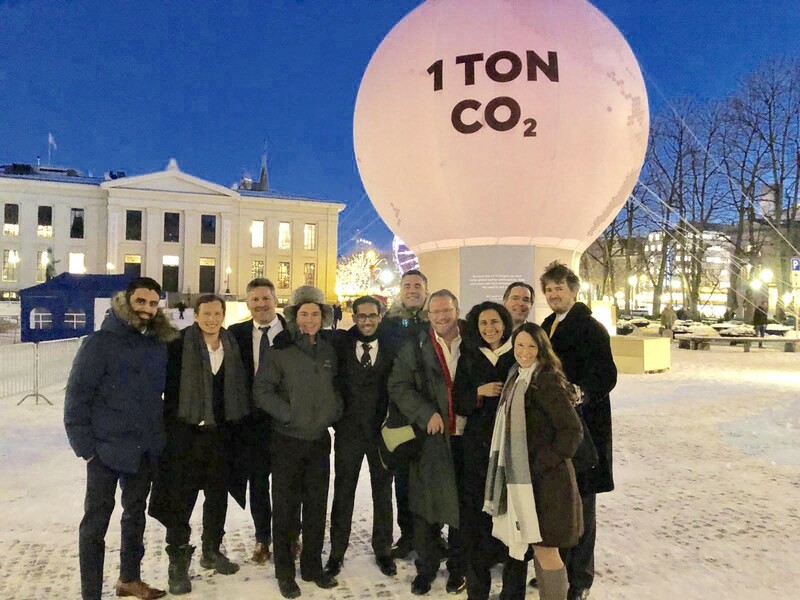 Post the forum, we had the privilege of attending a VIP reception with Al Gore and Norwegian Nobel Committee. I was not surprised with the number of awesome people I met at the reception ; Thanks to Ed, one of the planet’s most amazing marketers and connectors. We all went for a delightful dinner, and geared up for a late night 5th Element Group reception on Women and Impact Investing. 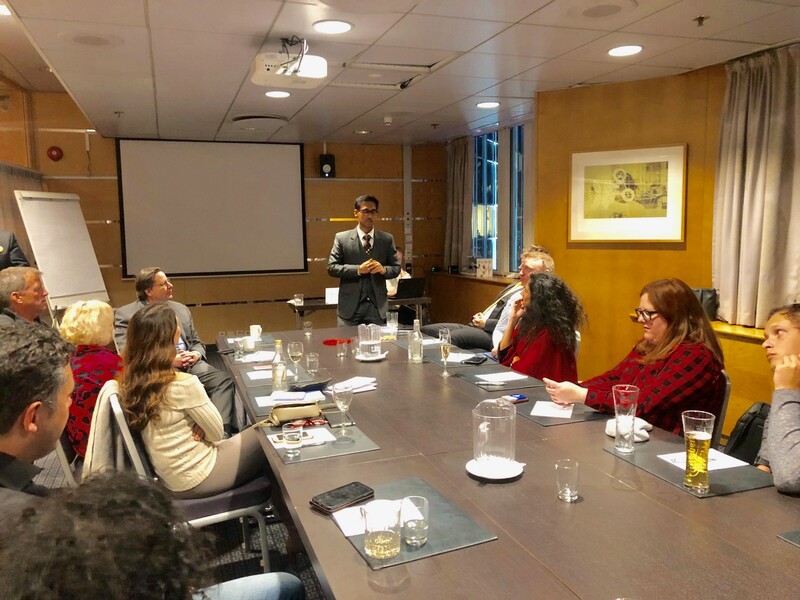 Sipping fancy wines in a conference room overlooking snowy Oslo, everyone hoped for an inspirational end to an overwhelming busy productive day. Gayle Jennings, CEO of iNTENT Manifesto, Ex-Vice President at JP Morgan Chase and one of the pioneers in women empowerment space, shared her wonderful story on how she is supporting, investing, and celebrating Women of Color (WOC) tech entrepreneurs. I also got a chance to share my story — I felt so grateful for the opportunity and felt so blessed to partner with the planet’s most incredible entrepreneurs. I shared on how I have been helping young entrepreneurs and how we have been building a leadership movement in India. The warmth, encouragement and support I received from the room is unparalleled and can’t be explained in words. The session ended with everyone thanking Jim/Ed/MER/Isabel and the entire 5th team for bringing planet’s most incredible humans together. 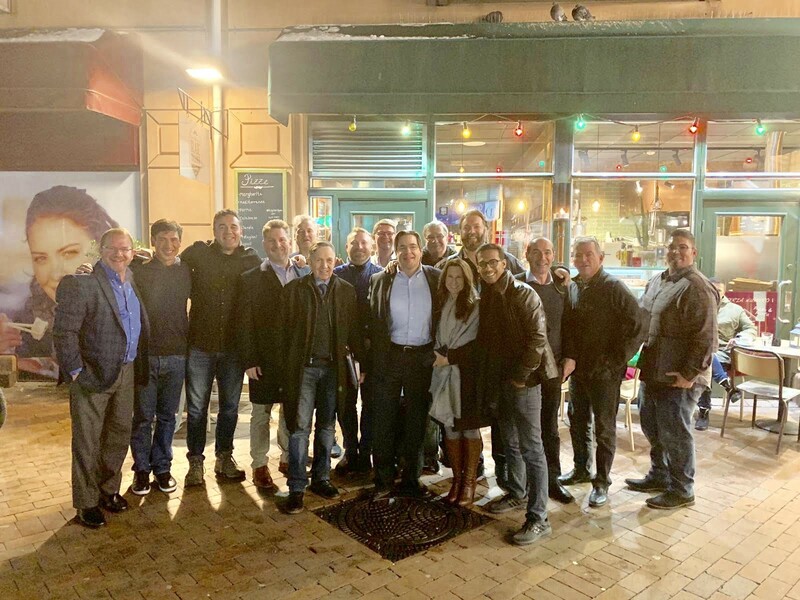 The entire group convened for one last time at breakfast next morning over the session — Impact Investing : Landscape and Opportunities. We explored creating a new socio — economic era that closes historic gaps in last mile inclusion with a mission of delivering frontier tech solutions to achieve Sustainable Development Goals. 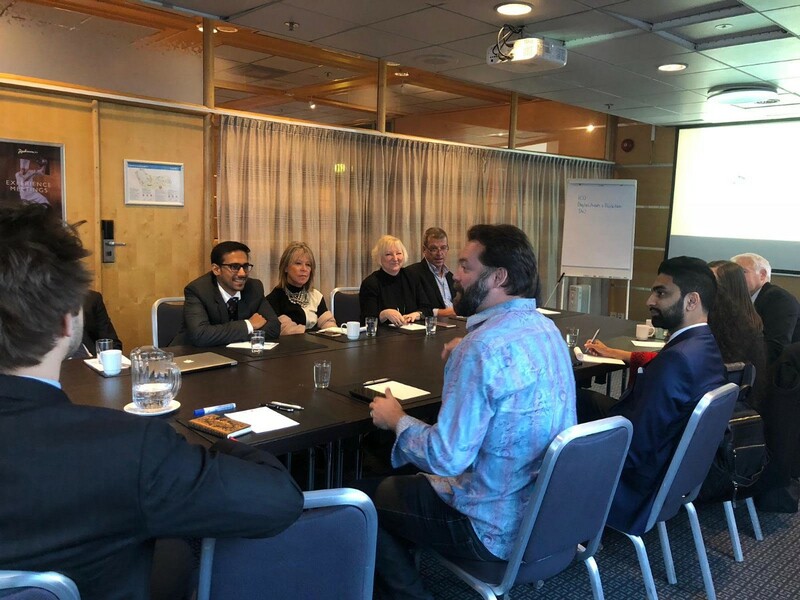 This brings me one of the most captivating parts of the Nobel week by fellow delegates — It is hard to quantify the learnings during the week but we explored pivotal questions and explored collaborations that shall shape the future of the world : Welcome to The Fifth Industrial Revolution. According to Village Capital CEO Ross Baird, "Humankind has never been wealthier, yet most people, places, and industries feel entirely left out." He wrote a book to find out why. Baird's new book, The Innovation Blind Spot: Why We Back the Wrong Ideas — and What to Do About It, includes a foreword from AOL co-founder Steve Case and stories of dozens of entrepreneurs and investors that speak to what can be done to ensure that entrepreneurship lives up to its promise of being able to change the world. Take a sneak peek of Baird's new book, which is set to launch on September 12. Click on the image below to read the book's first chapter, entitled "What Happened to the American Dream?” — shared here with permission — and pre-order the book before its release date to receive a 50% pre-order discount. In 2015, the year before I joined the Thousand Currents team, I started a rather unusual research project. With my long-time friend and colleague, Jess Rimington (managing director at /The Rules), we decided to investigate a question: What does it take for groups working co-creatively to deliver the most innovative solutions? Right now in our sector, most organizations, foundations and agencies are operating in ways that are a far cry from co-creation. In fact, for me, a big reason I was so excited to join the Thousand Currents team was that it was frequently mentioned by other groups interviewed in our research, as one of the few “bright spots” of foundations working with a co-creation approach. Most groups in our sector still leave it to “the experts” to decide what “the beneficiaries” need, what will be best for them, and how to deliver it. They assume that it is the job of certain kinds of people, with certain qualifications, to help. And it is the job of other people, with other kinds of experiences, to receive that help. Jess and I had a hunch that this way of work was massively limiting what humans are able to do at this time on earth. Because, let’s think about it: As we face “wicked problems” like climate change, extreme inequality, and poverty, wouldn’t it be better if we worked in ways that unleashed everyone’s creative capacity and leadership? Rather than just the few who happen to pass for “experts” in today’s world? We wanted to see if we could identify how some instances of profoundly co-creative approaches to problem solving led to results that dramatically outperformed their fields. We were curious about the common “code”, so to speak, of practices that all these groups were using to achieve these breakout results. Jess and I approached the Global Projects Center at Stanford University to share our questions, and the Center offered its support to our learning journey, and brought us on as visiting researchers through 2018. We made a commitment at the outset that our learning journey would itself be co-creative. We wouldn’t have the usual separation between “researchers” and “subjects.” Instead, as we identified groups working in co-creative, breakout ways, we would invite them to join our “co-learning group,” to shape the research aims, analysis, and products. Two years later, we are in awe of what we have learned from our co-learning group, and how powerful the learning journey has been. The “code” of practices we found across groups has emerged loud and clear. We call it: the recollective way. 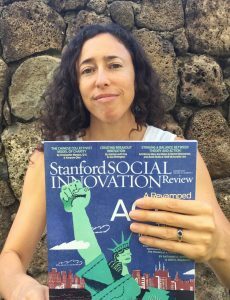 The five practices of the recollective way are shared in this feature story of the current issue of Stanford Social Innovation Review, already out in print and just published this week online. I am honored to share this article with my Thousand Currents community and all of you who have contributed to this learning journey. For me, the research journey of this project has been closely interwoven with the tremendous learning I have had from being part of the Thousand Currents team and working with our partners around the world to co-create the Buen Vivir Fund. I realized that, for many groups in the U.S., the recollective way is something that is unfamiliar and must be (re)learned. But for our Thousand Currents partners, and the communities and social movements with which they work, the practices of this powerful way of work are something in which they are extremely skilled, and which they carry forward from generations of innovators and leaders. As the wicked problems facing our planet loom large and more urgent than ever, it is time to turn to those who excel in the recollective way, and learn deeply from their practices. This post was written by Joanna Levitt Cea, Thousand Currents Buen Vivir Fund Director, and first appeared in the Thousand Currents Blog; it is republished here with permission.